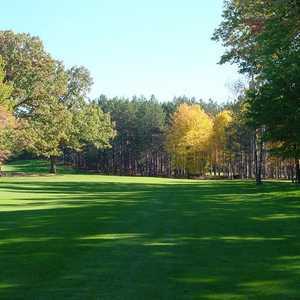 The 18-hole Bent Pine Golf Club in Whitehall, MI is a public golf course that opened in 1968. Bent Pine Golf Club measures 6007 yards from the longest tees. The course features 2 sets of tees for different skill levels. 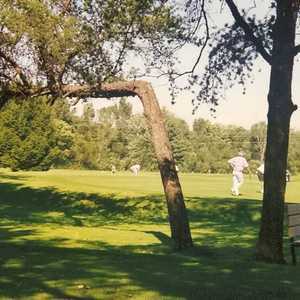 The 18-hole Blue/White at Hickory Knoll Golf Course in Whitehall, MI is a public golf course that opened in 1966. Designed by Malcolm Jackson, Blue/White at Hickory Knoll Golf Course measures 6155 yards from the longest tees. 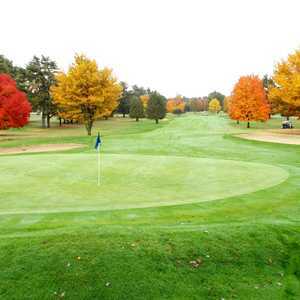 The 18-hole Gold/Red at Hickory Knoll Golf Course in Whitehall, MI is a public golf course that opened in 1966. Designed by Malcolm Jackson, Gold/Red at Hickory Knoll Golf Course measures 5968 yards from the longest tees. The 18-hole White Lake Golf Club in Whitehall, MI is a private golf course that opened in 1916. Designed by Tom Bendelow and E. E. Roberts, White Lake Golf Club measures 5739 yards from the longest tees and has a slope rating of 116 and a 67.